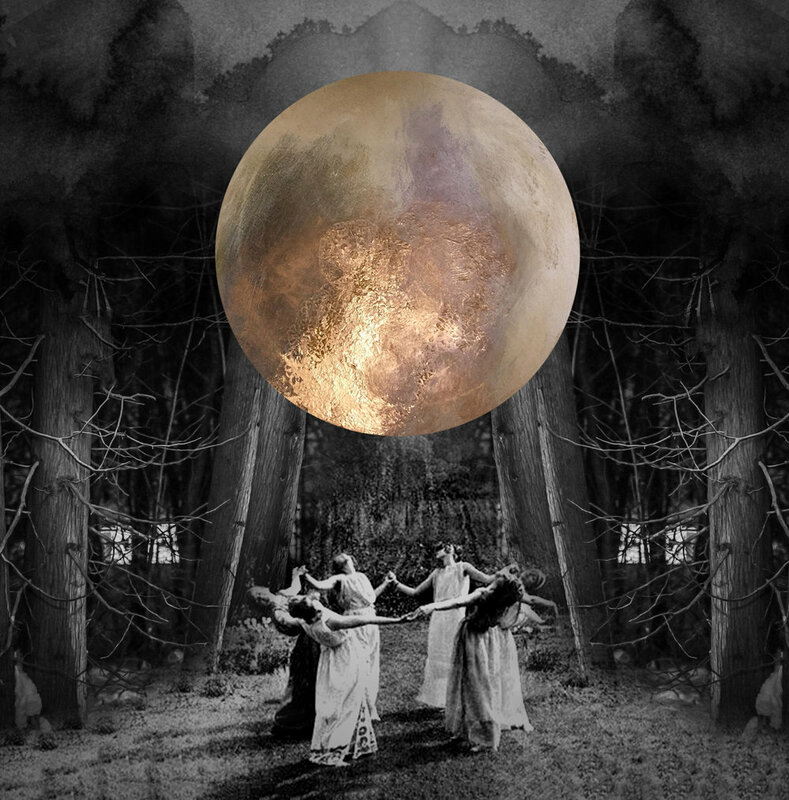 For thousands of years, women have gathered in sacred circles to honor the Moon. To follow her cycles and sing her songs and eat her honeyed bread. She and the stars were our first calendar, after all. Our first discernible method for knowing when to plant seeds or hunt or travel or bear children. Ruler of the tides. Our companion in the darkest hours of the night. The thing every-single-human-who-ever-lived-in-all-of-history has in common. Our nightlight. Our Sister Moon. 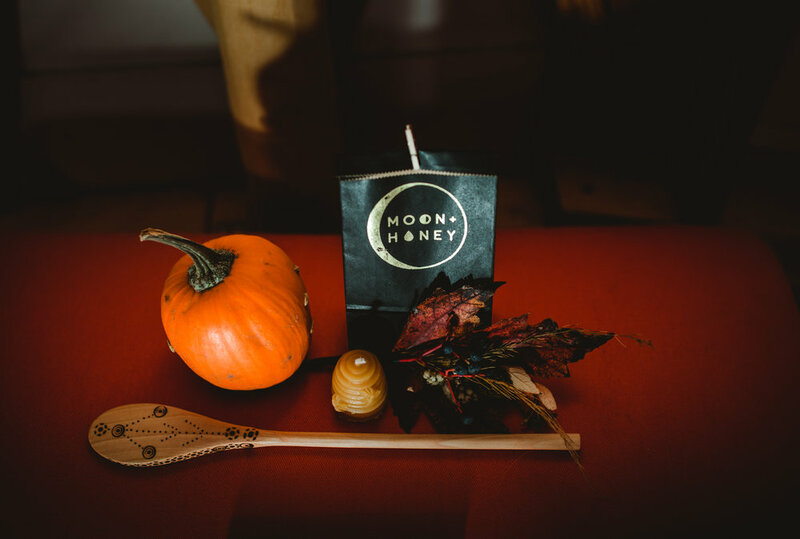 Moon + Honey is a series of seasonally-inspired retreats to reconnect to these ancient ways. To nourish the mind + body + spirit through a rotating series of mindful living, yoga, meditation, and wildcrafting workshops. To practice deep, loving self-care and celebrate the divine feminine. To hold space with a community of sisters and to offer ourselves a little sweetness. A little soul honey. This is a very special season, dear ones. A time to harvest and reflect and lift the thinning veil between worlds. A time to meditate on natural cycles, as we step from the final glowing days of fall, into the long night of winter. A time to peer into the shadows and gather with our chosen ones. 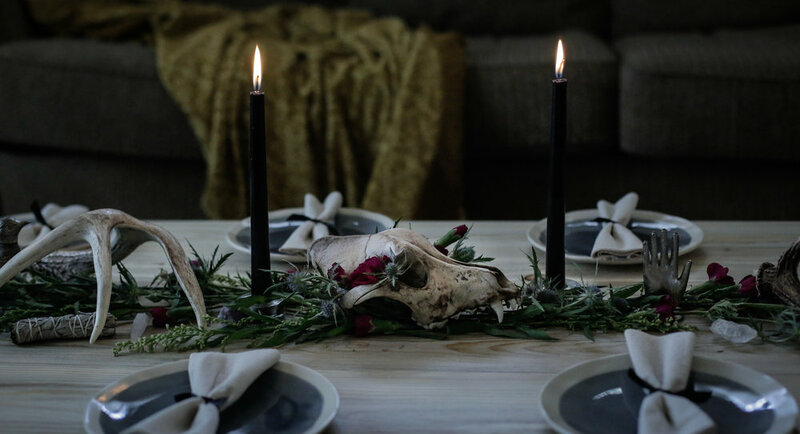 Join us beneath the waxing moon for a candlelit evening of mindful self care and seasonal wellness rituals. 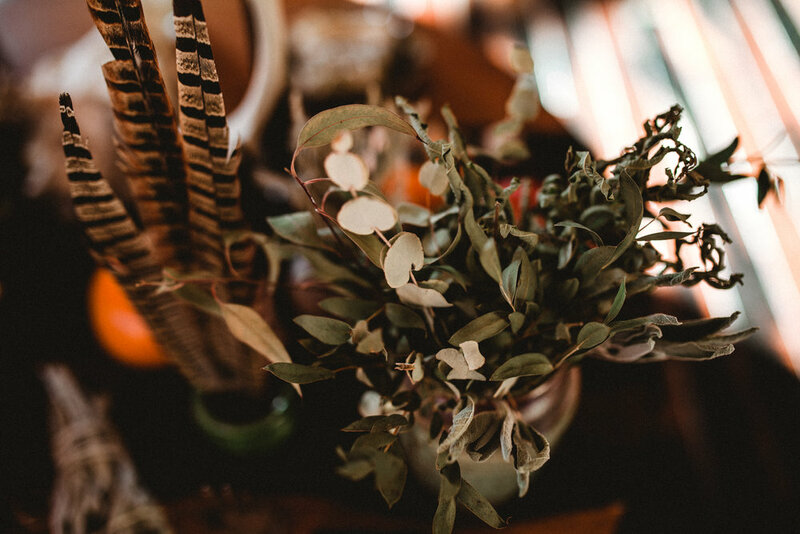 Located in the serene Hummingbird Lodge in Missoula, this evening retreat will rejuvenate the mind + body + spirit while honoring the abundance of fall. Let's gather and ground and restore, sweet friends. Let's swirl tea leaves and watch the black candles burn low. Let's listen to the wind and the woods and the Wild Women within us. Please see below for full retreat itinerary. Ticket price includes a collection of handcrafted gifts, workshop supplies, and seasonal hors d'oeuvres + beverages throughout the evening. Space is limited. Nestled in the mountains of the beautiful Miller Creek Valley, The Hummingbird Lodge emits a peaceful and grounding energy from the moment you step on the property. The 30-foot heated Eco-Yurt is bordered by a mountain on one side and tall swaying grasses on the other. This serene space is located only 20 minutes from downtown Missoula. 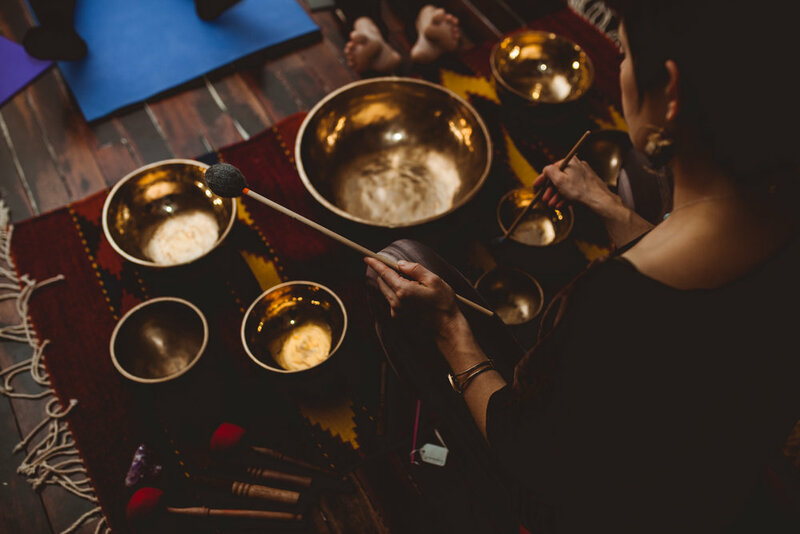 We will begin our evening with a candlelit restorative yoga practice led by Kendra Potter, while immersing ourselves in a meditative sound bath by Jessica Peeblson. We'll activate our chakras and stretch our bodies and set intentions for our time together. We will enjoy a spread of locally sourced, seasonally inspired snacks and hors d'oeuvres. We will sip healing herbal elixirs, brewed just for us by Justene Sweet. We'll explore the energetics of the changing seasons and ways to nourish the internal shifts that follow. We will craft talismans from herbs and stones and objects of the forest. We'll turn our gaze inward and workshop ways to build personal ritual with Hailey Faust. We'll mix herbs and pull cards and discuss the movements of the stars + planets. We will ground and meditate and connect to the divine feminine. We will practice lunar breath work and honor our bodies with Andreja Bourke. We will examine the ancient myths and lore of the Wild Women archetype. As our evening draws to a close, we will join together in sacred circle for an Autumn Moon ceremony. Born + raised in Missoula, Andreja finds bliss in life’s nectar. She takes pleasure in honoring the feminine divine + being a sensual Goddess through a journey of self love + connecting to her community. Andreja is a Tantric Sexuality Wellness Coach trained by The Tantric Institute of Integrated Sexuality. She's here to share her mojo. Hailey is a graphic designer, stylist and creator of The Lovely Wild. Her early years were spent traipsing around the fjords of Norway and Alaska, where she and her siblings whiled away the the long dark winters crafting things by hand and playing make-believe in the forest. In 2007 she moved to Montana and fell deeply in love with the West. In addition to design, Hailey also teaches branding and animation classes at the University of Montana. She loves slow living, seasonal recipes and any excuse to play with herbs and flowers. Justene Sweet is an herbalist by trade and a plant woman by nature. She was born of the arid hills of south central British Columbia and transplanted to the mountains and valleys of western Montana. Justene has studied with herbalists in Canada and the United States, she finds great joy in the fusion of many herbal traditions and hands on experience. 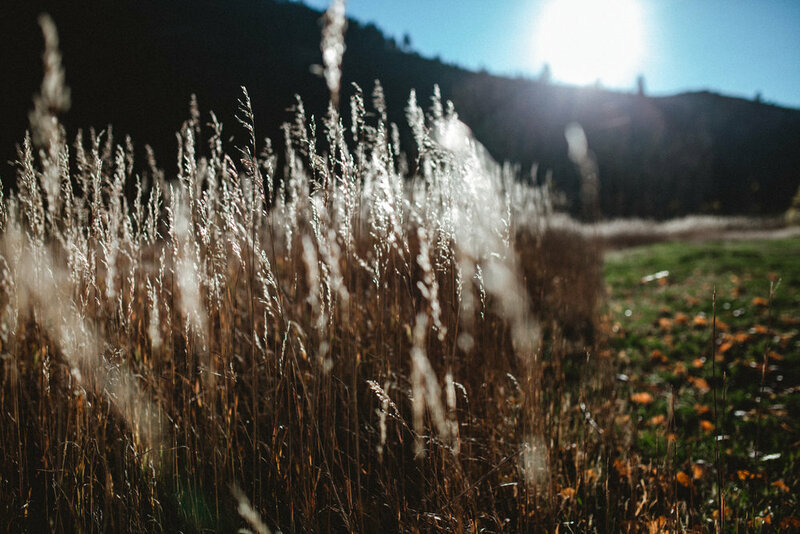 Here in Montana, you can find her wandering and wildcrafting the fields and forests or along the rivers edge seeking warmth and wisdom beneath the ponderosa pines and junipers. Justene is the creator of Wild Iris Herbs; the name behind her herbal musings, photography, classes, herb walks and consultations. She also works at Meadowsweet Herbs in downtown Missoula. Kendra began practicing yoga in 1999 and teaching in 2005. Her yoga practice has helped her navigate life in Los Angeles, New York, through her transition from single woman to wife and finally mother to daughter Sukha Belle and Lucian Moon. In 2014, she found herself elated to be back practicing in the mountains of Missoula, MT. Her fascination with yoga began with the revelation that one can move while in prayer, and has continued through the joyous exploration of Sukha Sthira, the balance between exertion and ease. Yoga has made her a nicer person, and she continues to work toward encountering the Self through sharing the practice. She is also a professional actor, reiki practitioner, and birth doula. Bridget Ambrose is an energy medicine healer that provides both remote and in-person sessions. Leveraging her work as an Intuitive Reiki Master, Integrated CranioSacral Practitioner along with additional healing modalities Bridget is able to help people to understand how they are and who they are at a deeper level. By intuitively identifying stagnant energy in the body she can facilitate a shift to allow energy to move in and increase healing. In addition to this she is a self taught interior stylist who creates spaces for people to feel energetically balanced and nourished in their home. Bridget has a degree in Psychology and an extended background in Child Development. Prior to her healing practice she worked with children and parents in a variety of settings including mommy-and-me, preschool and parenting classes. Jessica Peeblson completed her first full-immersion yoga teacher training in Spring 2008. Post-graduation, she spent five years traveling the Pacific Northwest, New Zealand and Canada, teaching full-time and gaining invaluable working knowledge of many body types and common injuries. She returned to Missoula in May 2010 and has taught Gosh-lineage hatha yoga in some capacity ever since. In August of 2016 she held her first class at her own healing and retreat space, the Hummingbird Lodge – a dream conceived into reality with the help of her husband and supportive family. In addition to teaching hatha yoga, Jessica holds a bachelors degree in Human Biological Sciences from the University of Montana. She teaches prenatal and postnatal yoga, is a Reiki practitioner and is currently building her sound healing practice out of her home space. She is passionate about holistic health, spirituality and wellness, and takes any opportunity to expand her own offerings to her hometown community. Subscribe below to be the first to hear when tickets are available for our next retreat! We promise to never send spam or share your info with anyone else.